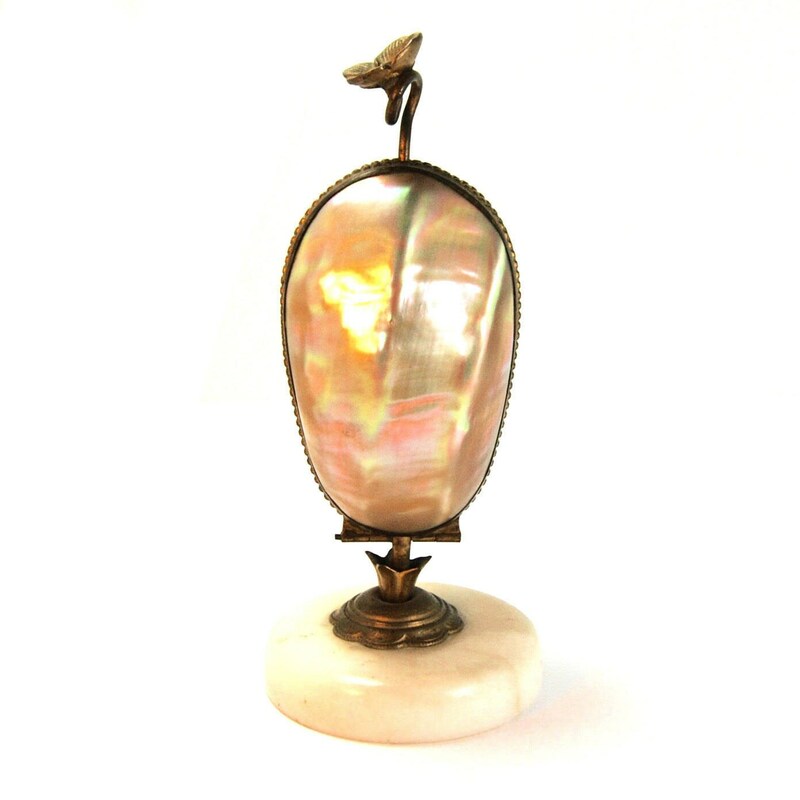 For your consideration is this stunning mother of pearl perfume bottle casket, circa 1860. These were sold at the Palais Royal in Paris, France as souvenirs for aristocrats of the time who were enjoying their Grand Tour. 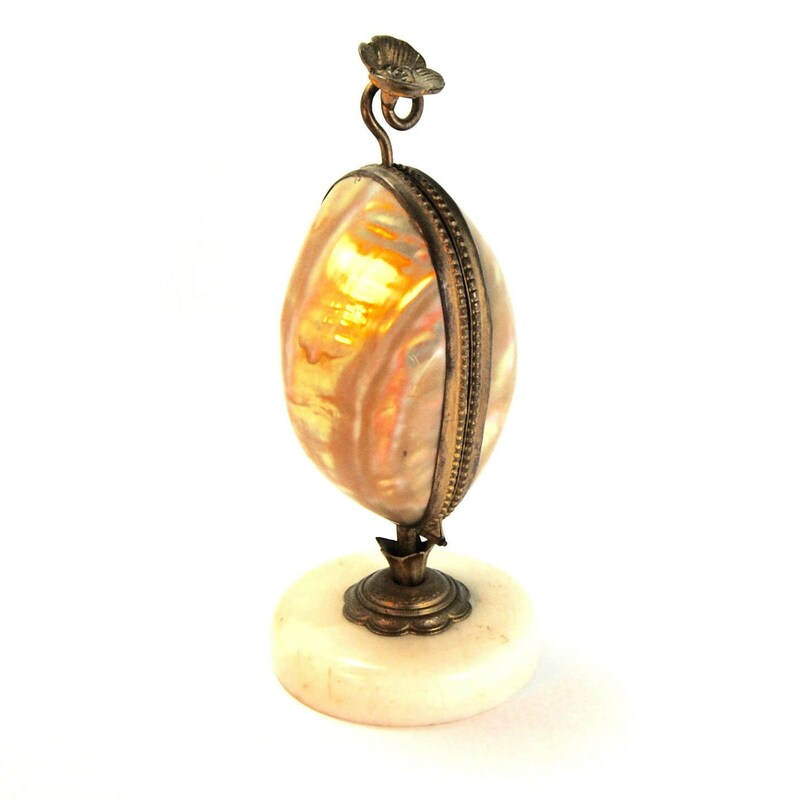 This one is made of iridescent polished Nautilus shell and literally glows. It has ormolu detailing and is crowned with a flower blossom. The box opens by means of a release mechanism by pushing down on the flower blossom. 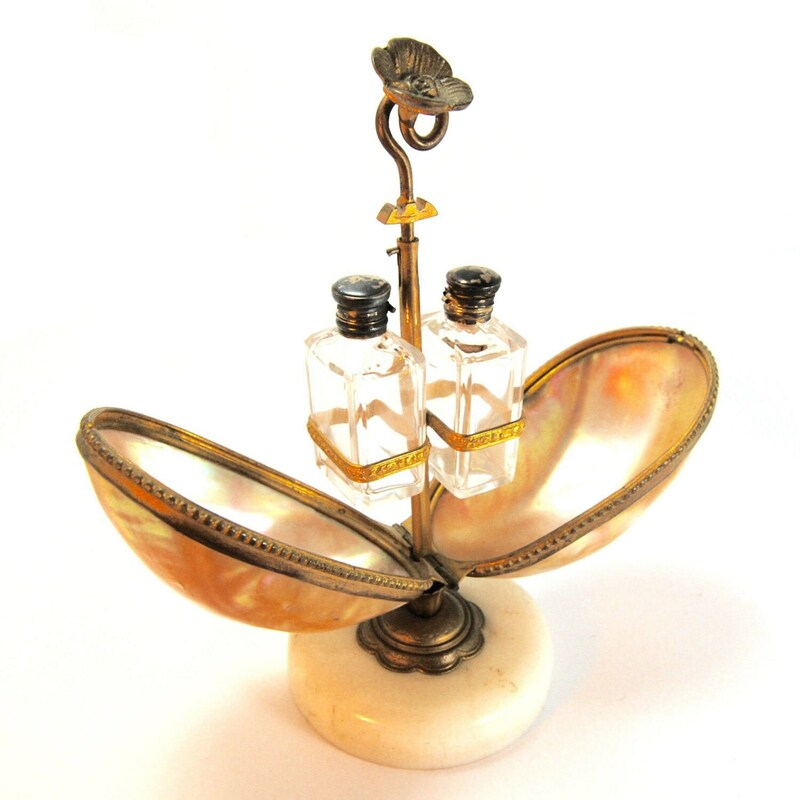 The sides open outwards to reveal a fitted pair of crystal perfume bottles. 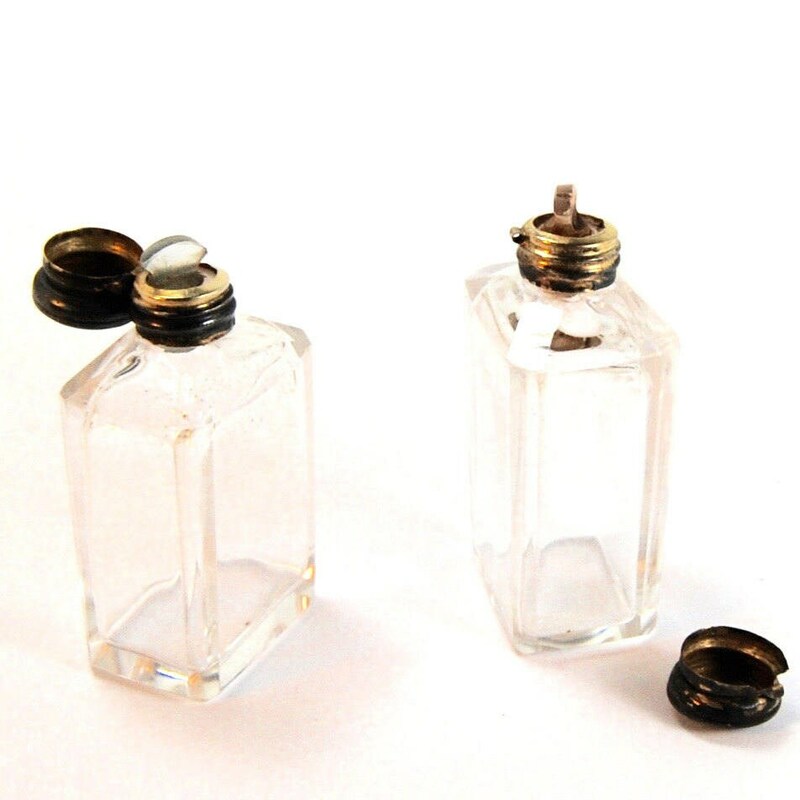 The perfume bottles have sterling silver hinged lids that reveal internal glass stoppers. The box is mounted on a marble base. This piece has no maker's marks that I can find. Its truly an incredible piece. 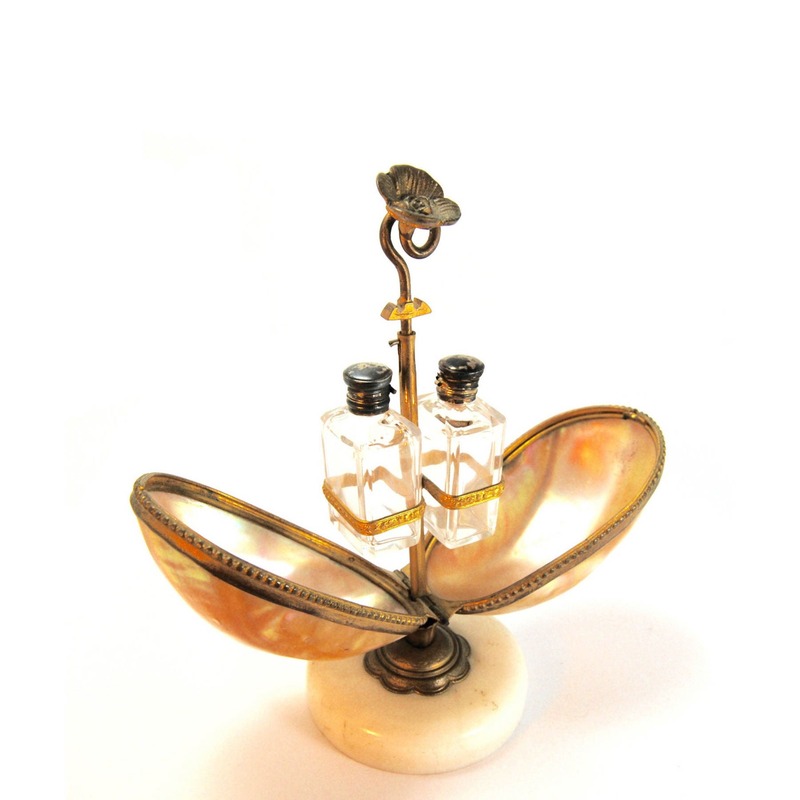 The ormolu finish on the outside is dull, but still bright inside. There is a pinhole knick to the top of one side that goes through the shell. The hinge of the lid of one of the perfume bottles is broken. Please see last two photos. 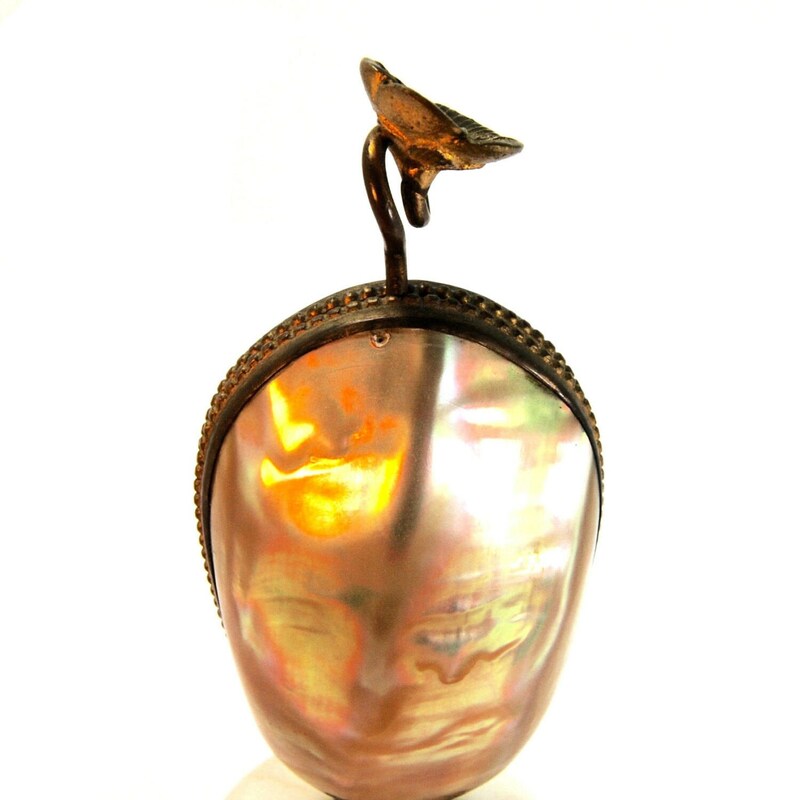 It is approximately 7 inches tall and the base is 3 inches wide.